Reuters: Wales coach Warren Gatland has had what he called “informal conversations” about leading the British & Irish Lions on their tour of South Africa in 2021. Gatland, who will step down from his Wales role after this year’s World Cup, coached the Lions on their two previous tours against Australia in 2013 and New Zealand four years later. “I’ve had a couple of informal conversations (about coaching the Lions) and that’s all it’s been at the moment,” the New Zealander was quoted by British media as saying at a Welsh Rugby Union event in Cardiff on Wednesday. A spokesman for the Lions told the BBC that there would be a number of candidates for the head coach job in 2021. “That process hasn’t begun yet, but decisions will be made in due course. The recruitment process has not yet been agreed,” the spokesman said. England coach Eddie Jones is among the names likely to be in the running for the Lions job as well as Ireland defence coach Andy Farrell, who is set to take over from Joe Schmidt as Ireland coach after the World Cup. Gatland led the Lions to a 2-1 win against Australia and a drawn series in New Zealand after which he ruled himself out of leading another tour. Gatland said he had been hurt by criticism from Irish flanker Sean O’Brien that the Lions could have won the series 3-0 with better coaching. 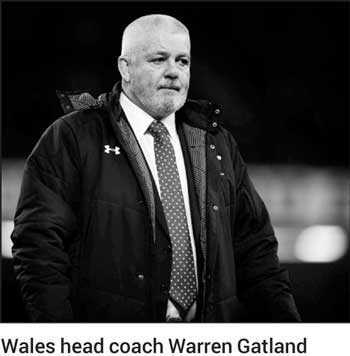 “You watch how hard the coaches and the backroom staff worked — they worked their absolute nuts off — and then to have someone come out and make a comment like that... it really, really did hurt,” Gatland said.